Data reliability is critical to modern business operations. For organizations considering colocation services, reliability and protection can be primary benefits. In addition to cost savings, security gains, and scalability, companies can gain important layers of data protection. 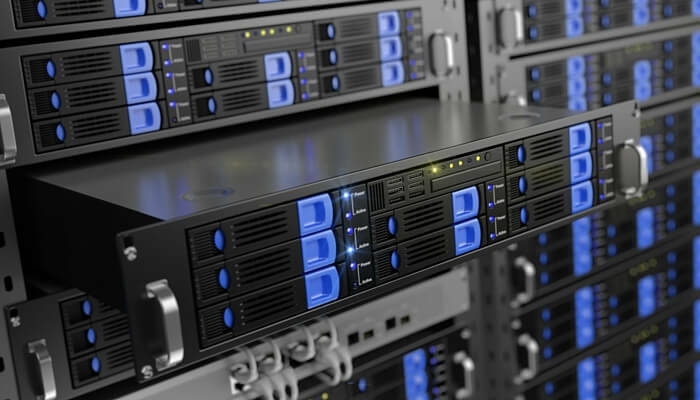 For small and mid-sized IT professionals, opting to move to colocation can reduce significant time, effort, and cost needed to adequately protect data assets. By selecting a colocation agreement with the right company, you can protect your assets against power failures, cooling issues, natural disasters, and other factors. In this blog post, you'll learn about the most important forms of redundancy for a colocation agreement. Hardware Failure: Caused by a hardware malfunction, power source interruption, or cooling issues. Data Center Failure: Failure of all on-site hardware, which can be caused by power, cooling, or data connectivity issues. Building Failure: Interruption to the building's power or cooling failures, which could be caused by inclement weather, natural disaster, or vandalism. Regional Failure: Complete loss of regional power or data connectivity, which could be a result of natural disaster or terrorism. What are N+ 1 Redundancy Strategies? "N+1" in redundancy terms dictates the concept of having a backup option in place for every possible failure. In many cases, the best potential colocation providers go beyond "N+1" to build in additional redundancies. Having an additional Internet connection available on-site for immediate switch-over is crucial. In addition to redundant data connectivity, the type of Internet connections matter when planning for colocation reliability. Fiber-optic connections to the Internet offer far better speed and reliability than copper-based broadband circuits and is less susceptible to extreme weather conditions and other potential sources of damage. Atlantech offers Internet connectivity to its customer as a standard feature for colo service. Additionally, redundant connections for data center customers are available, both wired and wireless, which ensures a reliable primary connection and a high-speed backup. Issues with the electrical grid from storms or other failures can cause data availability issues for colocation customers. Optimally, your colocation provider should offer on-site power backups with longevity in the cause of extended outages. "Concurrently maintainable power" is an important term that denotes a lack of extended switch-over time during routine maintenance operations or unplanned electrical failures. Atlantech's colocation centers are connected directly to a multi-substation power grid, which reduces the risks of weather or grid-related failures. For additional redundancy, there are two backup sources of concurrently maintainable power. This includes a diesel generator and fuel contract in case of extended issues with electricity availability. Highly-efficient cooling systems are critical to maintaining hardware operations and longevity. The design of colocation cooling systems, including air containment planning, can be critical to maintaining consistent temperatures. Ideally, a colocation provider will offer redundant cooling options and intelligent airflow design to protect your data assets and hardware. Atlantech's data and colocation facilities are designed to maintain strictly controlled humidity levels of 45% and to offer 140 tons of cooling capacity. Redundancy options are in place in case of primary cooling system failures. Physical building security, including keyed entrances and security cameras, can protect against vandalism. Any potential colocation center should be staffed 24/7 for immediate response to attempted break-ins or significant failures. Local and remote backup locations are important protections against natural disaster, terrorism, or vandalism. Atlantech's colocation and data center offerings include both local and remote backup options. This offers colocation customers better business continuity in the case of natural disaster or other issues. Executing true N+1 redundancy planning can place an enormous burden on the budgets and workloads of IT professionals. By switching to colocation, your organization can maintain control over your data while appreciating the redundancy of professionally-designed N+1 cooling, power, and data planning. 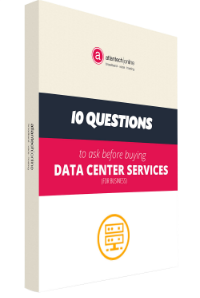 For more insights into making the right vendor choice, check out Atlantech's free eBook, 10 Questions to Ask Before You Buy Fiber, Phone, or Data Center Services for Your Business.